Verizon’s NFL Mobile App Will Cover 2011 Draft, is that a DROIDX2 in the Commercial for it? 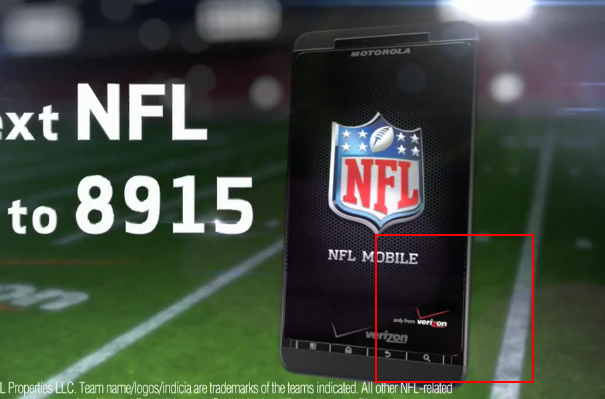 So Verizon, where’d the camera button go on that DROIDX in your new commercial? That wouldn’t be a DROIDX2, would it? As many of you know, it’s long been rumored that the new DROIDX2 would lack a physical camera button since the on-screen one does a fine job by itself, but is there any chance that Big Red would slip it in a commercial weeks before it has even been announced? At first glance, we certainly thought they did…and then we stumbled upon the 19 second mark while going frame-by-frame and found a red blotch lookin’ as DROIDX-y as ever. Hypebeast. Oh, and if the 2011 NFL Draft is of interest, feel free to get all of your coverage from the NFL Mobile app.